The problem with Revelation is not so much that men don’t understand it, but that men don’t believe it. Authentication, Exhortation and Assurance are the three most significant purposes of prophecy. Authentication of The Bible: Prophecy is a powerful authentication of the Word of God offering the clearest indication that the Bible is the verifiable Word of God..
“Yet despite the millions of people who attend church and synagogue every week and the existence of countless books on the subject, most people are simply unaware of these prophecies. They feverishly search through the writings of Nostradamus, Edgar Cayce, the Koran, and countless other “sacred texts” in hope of finding a profound truth or revelation concerning the future” but somehow, “the most credible source of information on future events, the Bible, escapes notice. Yet the fulfilled prophecies of the Bible “are backed by mountains of historical data and archaeological evidence” to say nothing of the staggering mathematical improbability of their occurrence merely being the result of chance. Assurance: It is impossible to understand God’s purpose for our world apart from the study of biblical prophecy. The Scriptures reveal that not only is there one true God, but that He has a sovereign purpose for this earth… He has planned the end from the beginning and no one will stay His hand. When the future looks less than promising (as is the case in the current recession) and government seems powerless to help (because they are a huge contributing factor? ), the knowledge of prophecy can give comfort by reminding us that God is still in control on the throne, and nothing stops Him from carrying out His plans. We have the assurance that, regardless of some of the detail that we do not yet understand, His promises are sure and all prophecy culminates in the Lord’s return to earth where he will defeat evil once and for all, setting up his kingdom of peace to reign over the earth for ever. Prophecy is in fact the very essence of the gospel message. “Prophecy is much more than a mere telling of the future. Prophets are vastly different from fortune tellers. The prophet’s role was to incite his listeners to godly living.. Through biblical prophecy, the godly will be encouraged to live pure and righteous lives and to be willing to suffer and sacrifice in the present in order to participate in the certain blessings of God’s future promises. In this way, prophecy is profitable to every reader who will hear and obey God’s Word, regardless of whether or not these prophecies are fulfilled in his lifetime. ” . There certainly are prophecies that were clearly recognized at the time they were given. For example the scribes were aware that the Messiah would be born in Bethlehem (although they fell far short of complete understanding and vainly tried to murder Him). However much of Old Testament prophecy was fulfilled in a way that no one expected, especially when it came to typology. For example, the Messiah was portrayed by a bronze serpent and a Passover Lamb. Additionally no one could figure out how this Messiah could suffer for the sins of man (Isaiah 53) and yet own the ends of the earth (Psalm 2). Their understanding was limited at the time and they did not realize that the Messiah would come twice… the first time to die and the second time to reign as King of Kings. During the life of Jesus, with the exception of a handful of individuals like Simeon and Anna, few realized prophecy was being fulfilled before their very eyes. Mary puzzled over what she had seen and been told (Luke 2) while the disciples did not fully grasp the events of our Lord’s life as fulfilled prophecy until after they had taken place. For example, Matthew called the return of Joseph, Mary and Jesus to Israel, after the death of Herod, a fulfillment of the words of Hosea 11:1: “Out of Egypt did I call My Son” (Matthew 2:15). Until then one wonders if anyone even knew Hosea’s words were prophetic. 1) prophecy was seldom, if ever, fulfilled in the life of the prophet, usually taking years or centuries to come to pass. It seems obvious that God wants human being to pay attention to the future. Between one-fifth and one-fourth of the Bible is prophecy, so those who reject the study of Biblical prophecy choose to avoid twenty to twenty-five per cent of the Bible. Also, if it really doesn't matter what we believe about the last days, there was no reason for God to devote such a large portion of His Word to it. Way over in the opposite corner are those that completely ignore prophecy, either because they believe that no one can really understand the prophecies in the Bible, or because they imagine there few, if any, prophecies in the Bible concern events that will transpire in the future. They think that almost all end-time Biblical prophecies were fulfilled by the end of the First Century A.D. For example, they believe that the great tribulation Jesus Christ talked about in Matthew 24 happened when the Romans destroyed Jerusalem and the Temple in 70 A. D.
Simply because it can get quite complicated, many people view those that have some knowledge of prophecy as having great spiritual insight, but too many popular, prophetic schemes pander to Easy Christianity.. “Don’t worry, we’ll all be out of here before the tribulation starts”. A tremendous disservice to God’s people who will not be prepared when the church starts experiencing serious persecution and when God’s wrath falls on this planet. Many well-known speakers who ‘specialize’ in prophecy have an “I have it all figured out” attitude, often using extensive charts to make sure their complicated layouts are being followed. Some of the teachings have boiled down to a total of seven dispensations, eight covenants, two second comings, three or four resurrections, and at least four judgments. It is impossible to believe this is Biblical. Others, through the years, have actually set dates for the rapture and the second coming of Christ, while yet others have claimed through the years that they know who the Antichrist is. When these dates came and went without incident, and the prominent leader identified as the Antichrist proved not to have fangs or horns, it simply gave the non Christian more cause to ridicule Biblical Christianity. Additionally, many Christians, instead of learning from the past mistakes, simply threw the baby out with the bath water and ignored all prophecy. What is really sad is that not near enough of these false prophets wound up with egg on their faces.. some keeping followers who made up endless excuses for them. Who was it written to, and why? Is it even possible for us to understand it? What are the meanings of its mysterious symbols? 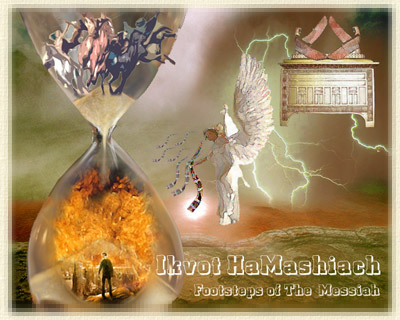 Yet, most of our knowledge of end time events comes from the book of Revelation which is, interestingly, the only book that calls down a blessing on those that read and hear it’s words, possibly because heeding the words of Revelation reminds us that the pleasures of this world are temporary, and encourages us to persevere in resisting evil and pursuing righteousness. “Blessed is he that readeth, and they that hear the words of this prophecy, and keep those things which are written therein” (Rev. 1:3). Also See Titus 2:11-13. “Sadly most people read Revelation and mistakenly conclude it describes the "end of the world". Revelation does not describe the end of the world. Rather it describes the conclusion of the age of man on this planet in terms that offer the only message of hope found anywhere. Most people believe that life on this planet will one day be altered beyond anything we recognize today. People's misunderstanding leads to the catastrophic conclusion that the world just ends. Nothing. Oblivion. It all returns to darkness. No wonder people look at Bible prophecy as only a message of gloom and doom and want no part in that kind of message. I wouldn't want to read it either. What people need today more than anything else is a message of hope. Life is tough and there is a lot of bad news in the world and our personal lives. Why spend time with a message that is hopeless? Now I admit that prophecy does deal with much that is not pleasant. But a careful, unbiased study will show that much of what prophecy discusses is what man brings upon himself. And when God acts to intervene in human affairs, it is only after much warning that something must change. When God punishes, there is always a light at the end of the tunnel. He always holds out hope. This is true of even the most terrifying prophecies of the Bible. Revelation is a book of striking contrasts and admittedly difficult to understand because it is written in the field of apocalyptic writing, which was never intended to be a kind of puzzle in which every symbol has to be cunningly interpreted. Revelation was not written to satisfy our curiosity about future events, nor to make any of us into ‘prophets’, but to assure believers that God’s redemptive program will go forward and give us a general idea as to what to expect. Revelation, very importantly, helps prepare believers for what is to come to pass. Certainly, the broad brush strokes.. the fundamental message, is not only simple but common to all viewpoints and outlines our Christian hope. Revelation paints for us a picture of God’s judgment on His enemies, the end of history as we know it, and a new world for God's saints. Jesus Christ will return and will institute a world that will not only last forever, but where there will be no pain, no suffering and no sin. But to add to the problems, Satan is not going to give up without a fight and the transition from Satan's control of the earth to Jesus Christ's rule will be neither easy nor painless. As part of his strategy, Satan will cause the rise of two “beasts”, who together will "make war with the saints and overcome them. One will be a great leader who will play a pivotal role in a massive end-time religious deception and will be followed by millions of people. The second beast is likely to be an end-time coalition of nations… an alliance of internationally powerful political entities. There will be one final battle when God will overthrow Satan and his minions, and a judgment, which in the long run is all that counts, since it is the time when the fate of every single individual on the face of this earth will be decided. Following which God will establish His long promised Kingdom on earth. To be particularly noted is the fact that all chapter and verse divisions in Scripture were added much after the books were written… to facilitate reference and make it simpler to locate certain accounts. However these divisions sometimes (not always) ignore logical and natural divisions and can even interrupt the continuity of narrative and the author’s flow of thought. There are a wide range of opinion regarding the sequence of events in Revelation. Some believe the book is in perfect chronological order while others think there is no sequence whatsoever. However, if one were to step back from all the detail and look at an overall picture of Revelation a basic sequence of events does emerge. In a nutshell, the Seven Seals are followed by the Seven Trumpet judgments of the wrath of God, after which come the Seven Bowls (or vials) in which God’s wrath is complete, the battle of Armageddon and the defeat of Satan. Finally Jesus returns and establishes a new Heaven and a new Earth over which He will reign for a thousand years of peace. Chapter Nine deals with the Fifth and Sixth Trumpet, after which Revelation pauses a moment in it’s recital of ongoing events. In chapter 10 John receives a commission to prophesy to many people. In the opening verses of Chapter 11 we find John measuring the temple, while the rest of Chapter 11 talks of The Two Witnesses (it is uncertain when exactly they make their entrance). Chapters 15 and 16 are an account of the Seven Bowls (in which the wrath of God is finished) and the battle of Armageddon. However Chapters 17 and 18 are not part of the chronological sequence of Revelation, and do not follow the seven bowls which completely destroy the earth, but are part of the reason for God’s judgment on the earth. These chapters are yet another break taken in the sequence of events to describe two different aspects of “Babylon”, and the resulting judgment. Chapter 17 deals with the spiritual side of Babylon (“Mystery Babylon”), while chapter 18 deals with Babylon as a political and commercial system. Two faces of the same coin, a religious and an economic system, both of which endeavor to operate independently of, and in opposition to, the true God. Revelation is steeped in imagery and uses a bewildering and sometimes weird array of symbols...angels with trumpets and bowls, beasts emerging from the sea, locusts shaped like horses with tails like scorpions, waters turning to blood, a bottomless pit, dragons with seven heads, a woman sitting on a scarlet beast etc. The language and style of apocalyptic literature in general, and Revelation in particular, was not literal but always highly dramatic in order to present the huge, almost indescribable, spiritual realities it was trying to portray. The situations depicted were often deliberately exaggerated and (in some cases) even bizarre, in order that the message was not mistaken or underestimated. One has to bear in mind that both the language and style of apocalyptic literature were probably quite familiar to the original readers, who would have read and understood the language of myth as easily as the modern reader reads and understands a political cartoon in the newspapers. Revelation was probably not only easy to understand, but extremely meaningful to the people of the day..
Symbolism and The Modern Reader: To a great extent the describing of spiritual realities by symbolism is familiar even to the modern reader of the Bible. Symbolism in The OT: However one has to not only be aware that a huge percentage of the book of Revelation is symbolic, but also the fact that quite a bit of the symbolism has been used before in the Old Testament, and laying some ground work is essential. It is often the case that one only has to turn back a few pages to gain a better understanding of what the symbolism is trying to portray. Much of the language and imagery is common between the book of Daniel and Revelation, with the difference that the imagery is often clearly explained in Daniel, which makes it one of the prime keys by which we understand Revelation. However note that Daniel also said that meanings of some of the prophecies would remain mysteriously obscure until the end of time. Since we are reasonably sure that none of these verses described literal or physical displacement or movement of mountains and islands, perhaps the same logic has to be assigned to Revelation.. Why are we insisting that every mountain will physically disappear? Self Interpretation: Sometimes Revelation interprets itself as in when John sees a harlot sitting upon a scarlet-colored beast, that has seven heads and ten horns. We are told in verse 9 that the seven heads of the beast that the woman sits on are seven mountains, and since verse ten goes on to say that these seven mountains are seven kings, five of which have already fallen, the mountains have to represent governments or world powers (kingdoms), not literal hills. Literalism: However not everything in Revelation is symbolic… The difficulty lies in trying to decide when to distinguish when Revelation is using prophetic hyperbole and when it is being literal. One outstanding exception to the symbolism may be The Two Witnesses. Many have claimed that these two witnesses are symbolic of a power or movement perhaps. However the general tenor of the verses is that of a straight forward description of two exceptional individuals, while the imagery of the olive trees and lampstands is borrowed from Zechariah 4, which refers to two actual individuals, Zerubbabel and Joshua. Additionally the term “witness” in the New Testament is always used of persons. Under the law, two witnesses were required, and were enough, to establish any fact. Jesus even said that if the testimony of two men were sufficient to establish a fact, his own testimony and that of his Father ought to be esteemed ample evidence in the case of religious doctrine. [John 8:13-18]. Besides which, both Jesus and the early church sent out emissaries in pairs (See Mark 6:7, Acts 13:2, 15:39-40). The book of Daniel has been a part of Jewish Scripture for thousands of years, therefore when the angel told Daniel to ‘seal the book’ and that ‘the words are closed up and sealed till the time of the end’, it could not mean that the actual book was sealed , but the understanding of the prophecies that was to be sealed until the end of time. In other words only the wise will understand the words of the prophecy.